When our customer approached us with a very clear brief of her requirements and with a list of seemingly impossible measurements for an armchair, we couldn’t say no to the challenge! The results were these two pretty bespoke creations constructed to an amazingly narrow width of 25 inches and even inclusive of their traditional scroll arms but with a generous seating width of 18 inches. They fitted perfectly into her bay. We were thrilled with her review.. 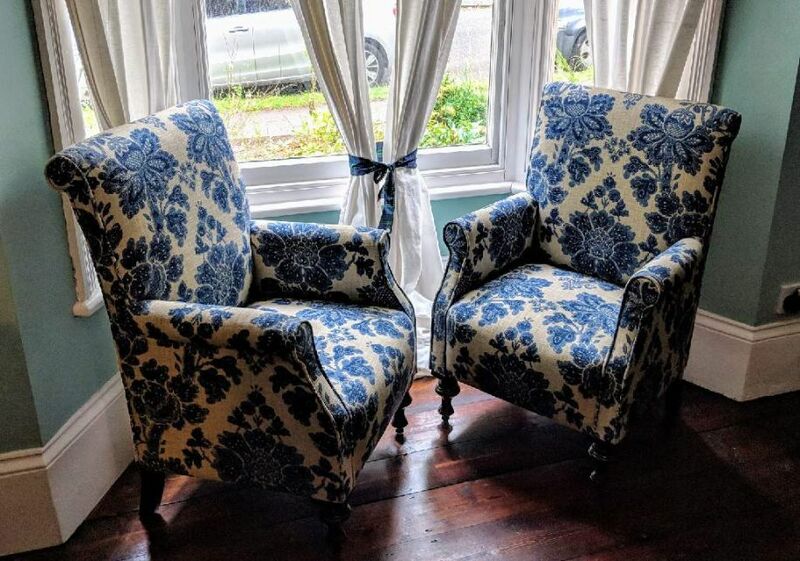 I ordered 2 armchairs made to look antique and they turned out absolutely spectacular! Glowing comments from friends and family who admired and sat in them! 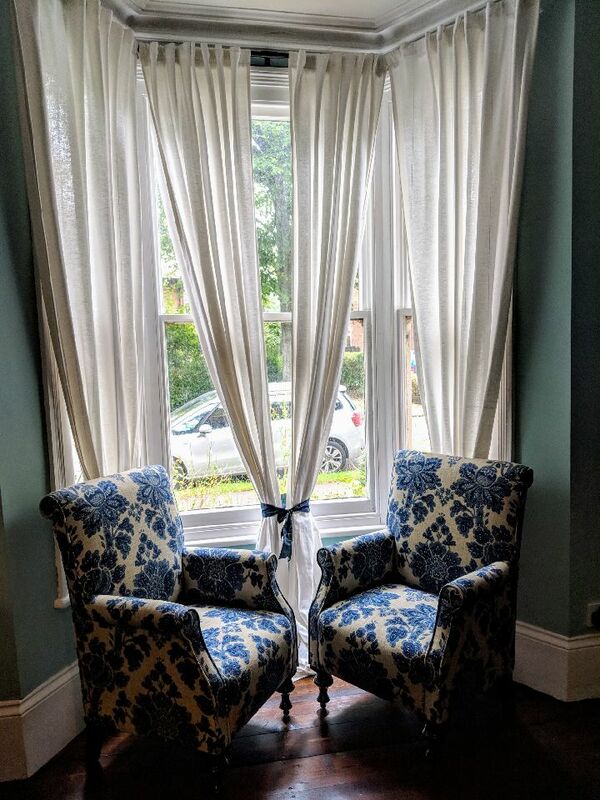 Both chairs made to fit in a small bay window and Patricia rose to the challenge: lovely manner down to every minute detail: style, measurements down to piping and legs of the chairs. She made them even better that I could explain. Patricia is a professional with a keen eye for what works, drawing from years of experience and she made sure that my chairs were done precisely as I wanted.Her clever use of fabric even saved me some money. I would say she went above and beyond her duties. For that, a heartfelt 'Thank you!' from me and a promise that I will spread the word, so that others order with confidence from her company.